The Ford Mustang is unarguably the most iconic car to have come from the United States. Today, the Mustang is sold in several global markets, including Right Hand Drive markets like that of India. Back in the 60s, however, the sales were restricted to the United States. The first-ever Ford Mustang was bought by Gail Wise on April 15, 1964. What’s of real interest here is that this Mustang still exists. Moreover, it’s still with its original owner. Ford officially revealed its pony car on April 17, which is two days after Gail, a 22-year old school teacher back then, drove home her spanking new Mustang. The dealership it was bought from had a couple of ‘Stangs in its inventory. They were supposed to remain under a cover till the official unveiling. However, Wise was sold the car a couple of days before the official unveiling. Hence, she became the first-ever owner of the Ford Mustang much before the car even officially existed for the world! Today, 54 years after the official unveiling of the Ford Mustang, the first-ever unit to be sold is still in Gail’s possession. The car has been immaculately restored. 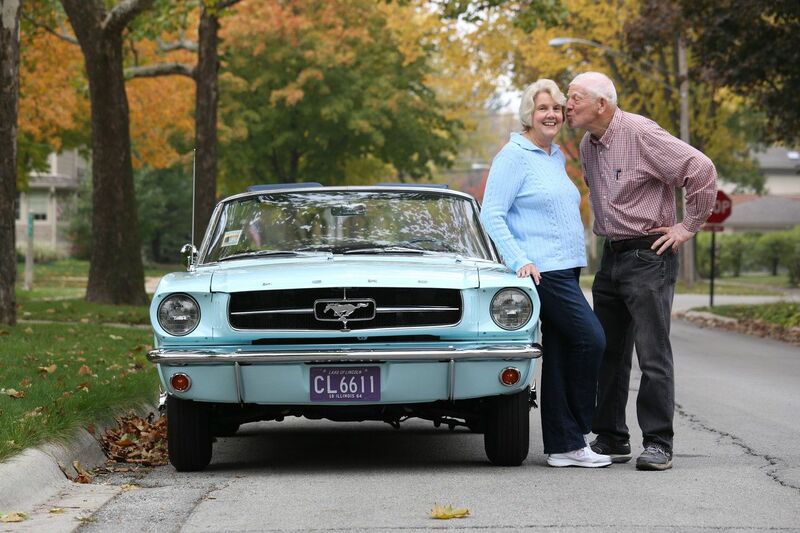 On the occasion of the production of the 10 millionth Mustang, Gail and her husband were invited with their car to Dearborn. As per a report, this Mustang is worth at least USD 3,50,000. This is as much as 100 times higher than what Gail paid for her new car back in the 60s. It’s also around 10 times higher than the price of a similarly well-restored 1065 Mustang convertible.